available bell Fido G7 G7ThinQ LG Rogers SaskTel telus ThinQ Virgin You can go pick up an LG G7 today! You can go pick up an LG G7 today! Today's the day that if you wanted, you could go and pick up your very own LG G7 as it's now available for purchase. TORONTO, June 1, 2018 --- LG Electronics (LG) brings its latest premium flagship smartphone the LG G7 THINQ to Canada today, giving consumers its first LG THINQ enabled device. LG THINQ is a platform that represents LG’s AI capabilities, bringing innovative AI functionalities to the LG G7 THINQ that promise to maximize functionality and user convenience. The new LG G7 THINQ was designed with features like AI Cam and a dedicated Google Assistant button , allowing users to take their passions to new heights as demonstrated in the new “We’re for Geeks” advertising campaign promoting the device. The refined new design incorporates a polished metal rim giving the LG G7 THINQ a sleeker, more sophisticated look, while the Super Bright Display provides a stunning visual experience even in direct sunlight. 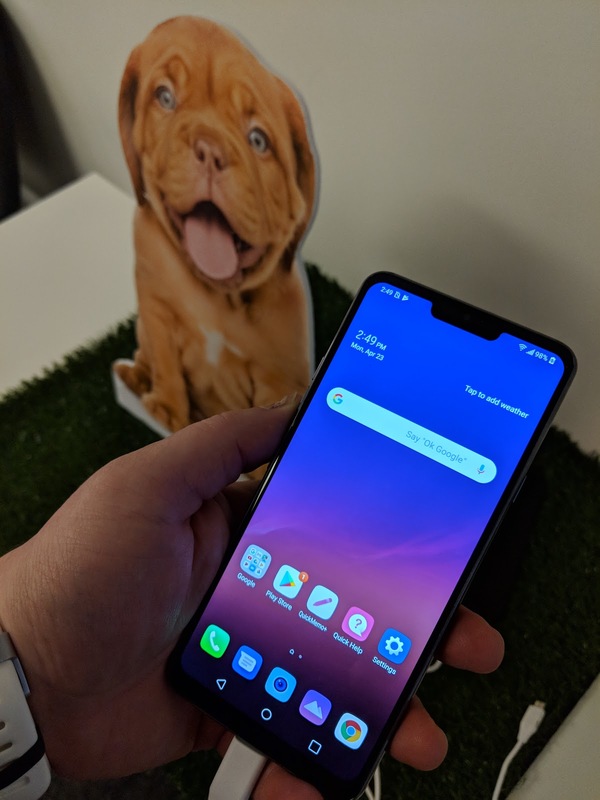 The LG G7 THINQ will be available at the following carriers and retailers: Best Buy, Bell, Fido, Freedom Mobile, London Drugs, Rogers, SaskTel, Tbooth wireless and Wireless Etc. (Costco Wholesale), TELUS, The Mobile Shop, The Source, Virgin Mobile, WIRELESSWAVE, WOW! mobile boutique. Check with your other local retailers for availability dates.